A beach ready beer cooler. 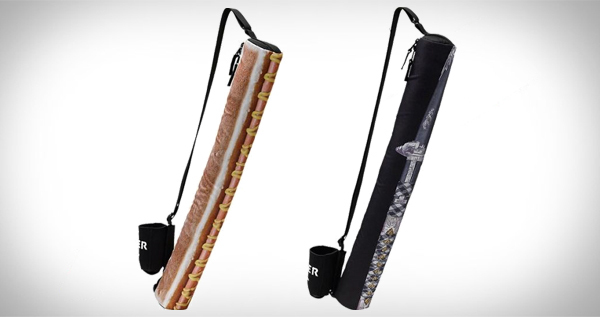 A long tube with shoulder strap, the Burton Beeracuda is a nylon and poly tube that’s ready to carry six cans of beer anywhere. That's five in the tube and one on the shoulder strap. Would also be awesome at festivals, in parks or at a BBQ if you don't trust leaving your beers in the cooler with everyone else's!?! ?